Most of us have picked up a book, opened it to a random page, and jabbed our finger down without looking. I have done that many times, usually while asking a question aloud or in my heart, looking for inspiration or confirmation or direction in that arbitrarily chosen sentence. I have learned that guidance comes in all kinds of seemingly random ways. A song on the radio, a snippet of overheard conversation, a bumper sticker on a car can deliver the message needed at the perfect time. I call these signs and synchronicities my ongoing conversation with the Divine. There is always great significance in those cosmic signs, and sometimes great mystery as well. After visiting Joplin’s new public library last month, I felt inspired to suggest a game to the Divine. This afternoon, it was time to play. 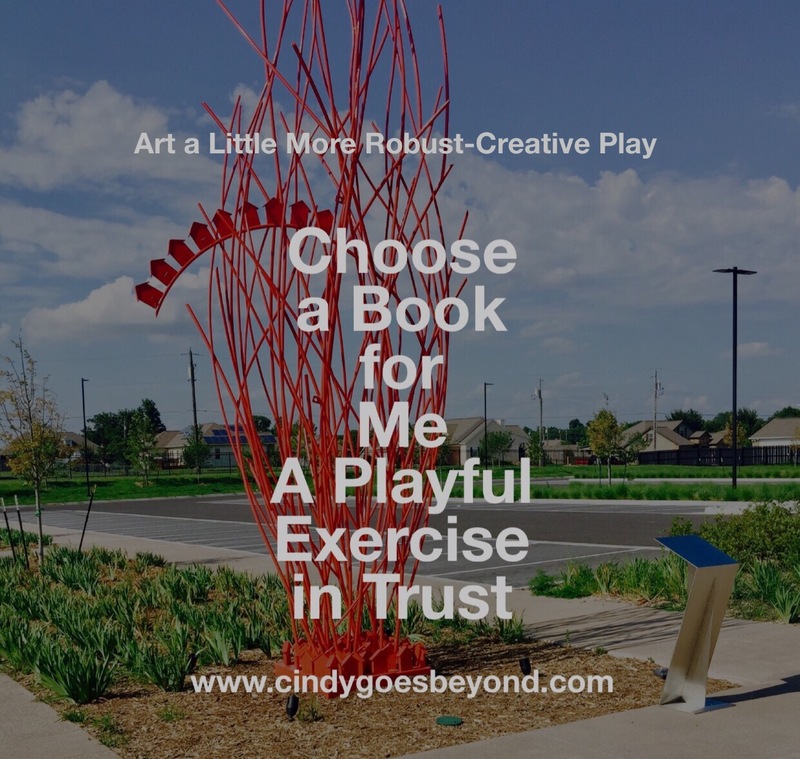 What if, rather than opening a book and flipping to a page and choosing a sentence at random, I allowed myself to be guided to an entire book? 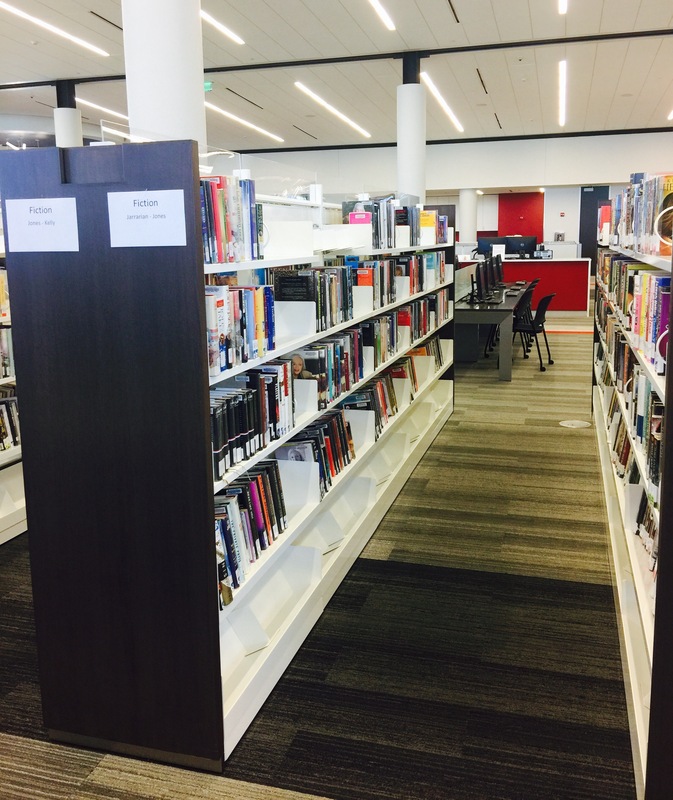 Using the library as my playground, I did some prep work beforehand in the Fiction and Non Fiction areas, counting the number of rows, the number of sections in each row, and the number of shelves per section. 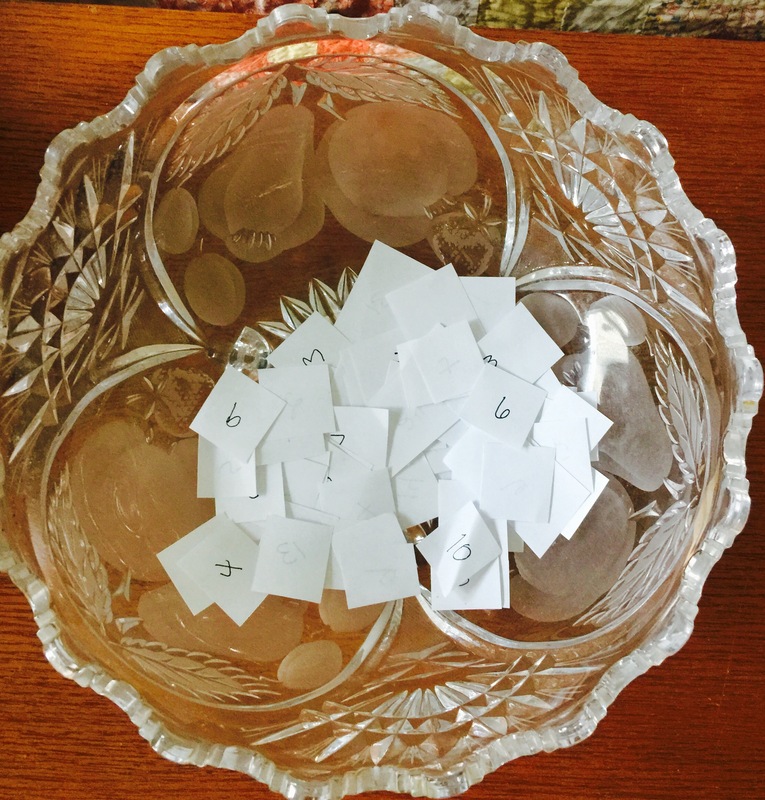 At home this afternoon, I wrote numbers on slips of paper, dropped them into a glass bowl, and mixed them up. First I drew numbers for the Fiction area…row, section, shelf and book number. Then I did the same for the Non Fiction area. I only asked to be guided to the non fiction and fiction books that would be perfect for me today. I arrived at the library 12 minutes before closing time. That was ok. I had my numbers written out on a piece of paper. It would not take me long to find my books. 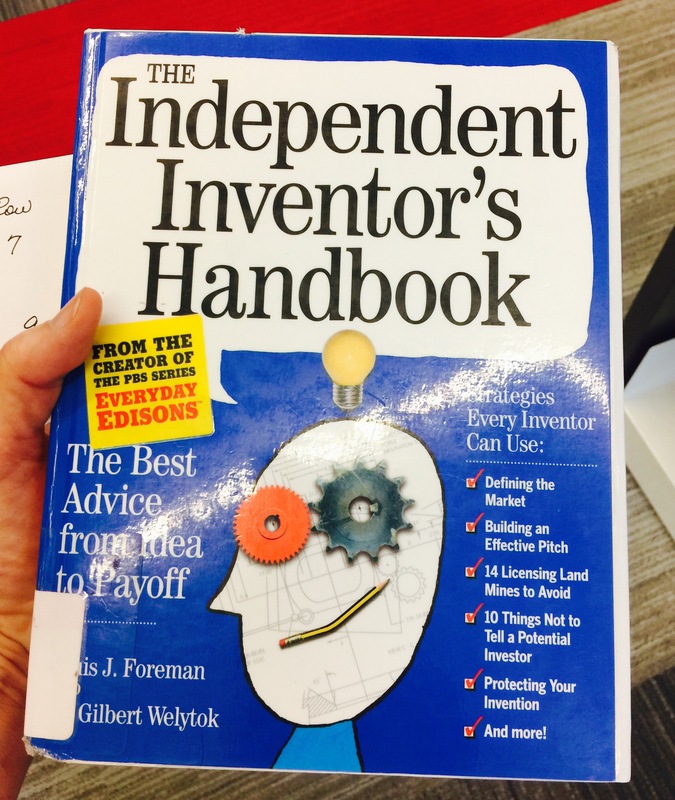 The book selected for me was The Independent Inventor’s Handbook by Louis Foreman and Jill Gilbert Welytok. I was excited! Who hasn’t dreamed of having a million dollar idea that becomes an invention? As a child, I was always trying to come up with an invention that no one else had thought of. My grandson Oliver has such thoughts and I love listening to his ideas. The blurb for this book reads, Have a million dollar idea? Make it real. From sketch on a napkin to finished product, Everyday Edisons creator Louis Foreman and patent attorney Jill Gilbert Welytok show step by step how to be a prosperous inventor and how to harness your imagination and follow the systematic process of problem solving that’s required to convert a raw concept into a profitable business venture. How cool! And this was probably not a book I would have ever looked for on my own. I’m curious to see what creative ideas surface as I read through this intriguing book that was picked for me. The library lights dimmed, indicating it was almost time to close. I hurried to the Fiction area. 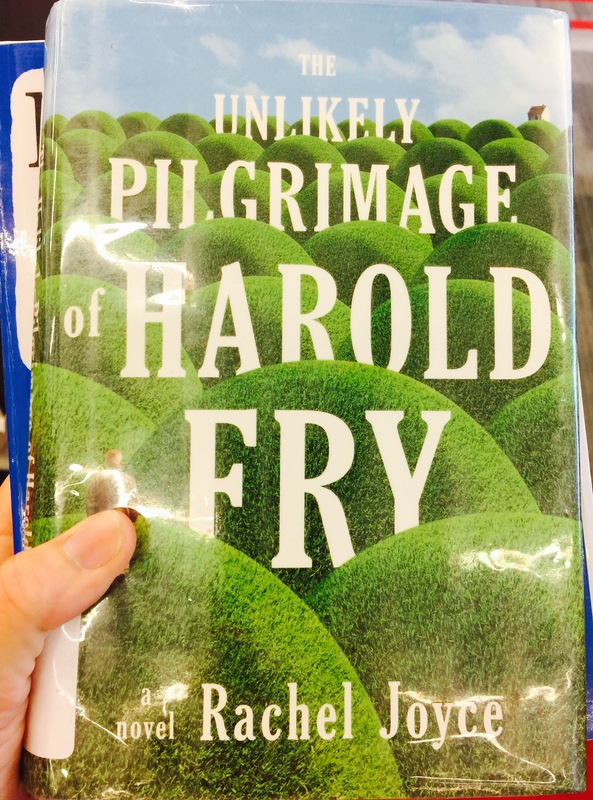 The fiction book selected for me was The Unlikely Pilgrimage of Harold Fry, by Rachel Joyce. I was immediately captivated by the word Pilgrimage in the title. I just wrote a blog post about a pilgrimage…referencing the one I took recently through northern Italy and my life journey. And the word Unlikely hinted at a journey of destiny, reminding me of the first Hobbit film, An Unexpected Journey. The blurb for this book reads, Meet Harold Fry, recently retired. He lives in a small English village with his wife Maureen, who seems irritated by almost everything he does, even down to how he butters his toast. Then one morning the mail arrives and within the stack of quotidian minutiae is a letter addressed to Harold in a shaky scrawl from a woman he hasn’t seen or heard from in twenty years. Queenie Hennessy is in hospice and is writing to say goodbye. Harold decides to hand carry a reply to Queenie, a 600 mile walk to the hospice, believing that as long as he walks, Queenie will live. Along the way, he meets one fascinating character after another, each of whom unlocks his long dormant spirit and sense of promise. Although I have not heard of this book or the author, I am very excited to begin this story. My eyes filled with tears, just reading the blurb inside the jacket cover, a sure sign this book is meant for me. This was a fun experience, and one built on trust. I had a moment of doubt as I wheeled into the library parking lot. What if I ended up with some book I had absolutely no interest in? Well, what if I did? I could play with an open heart, mind and spirit and see what happened. Or I could choose not to play at all. Did I trust or didn’t I? I decided that I did. I am most curious about what I will find for my heart and journey as I read these books that were chosen for me. Because, I don’t believe in randomness or coincidences. I can play like this because I believe that everything has purpose, and every incident has a message for me. I am continually invited to dance, to converse, to engage with the Divine. We play…even at the library.